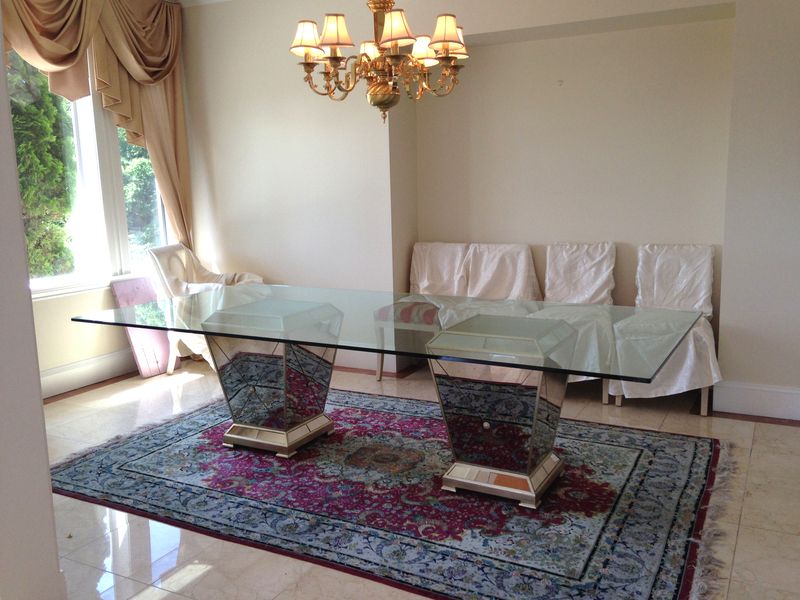 For most of glass table top jobs that we have completed, this is a biggest and heaviest glass top that we have handled. 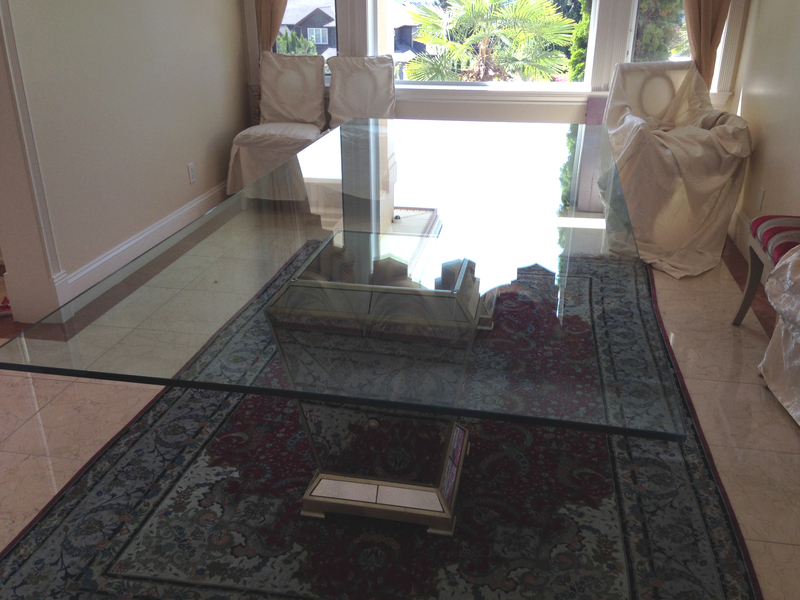 The glass is 15mm tempered with size of 110″ X 52″ and it weigh around 320 lbs. 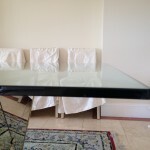 This job didn’t look as simple as it is in the pictures. 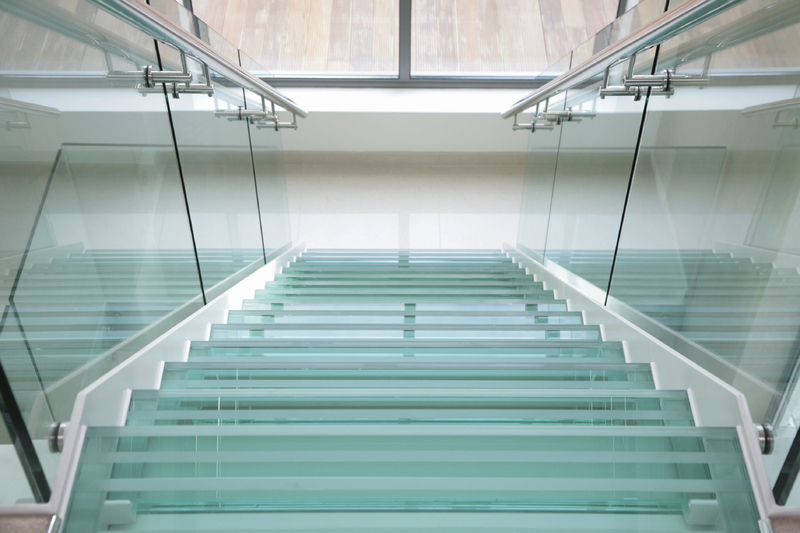 With one wrong move, both glass and existing floor might be broken and cause a huge damage. However, our team have successfully managed to fabricate, deliver and drop-on to customer’s existing pole stands.